Known as Sunny State of India, Goa is one of the popular beach destinations among travel junkies in India. These quotes about Goa certainly tell the same story. 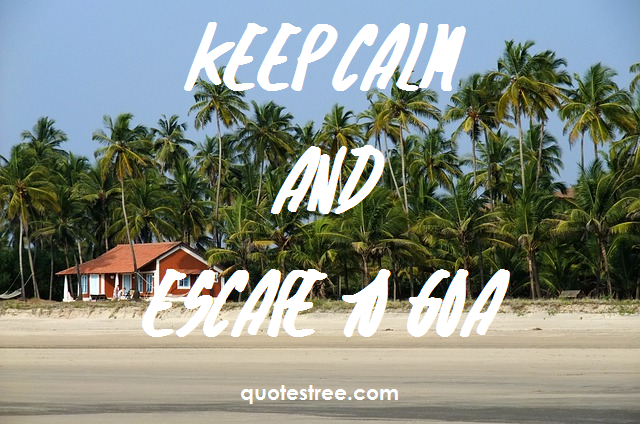 Keep calm and escape to Goa. Living in Goa is 365 day vaction. Take Pune’s people. Put them in Delhi. Add Bangalore’s weather, Mumbai’s night life. And Goa’s beer. That’s my ideal Indian town.